Backed by rich experience, we are highly renowned as one of the prominent manufactures, exporters and suppliers of superior quality Flannel Baby Clothes. Flannel Baby Clothes offered by us are highly acclaimed for their qualities of softness and light weight. With such fabric properties, our manufactured Flannel Baby Clothes have turned into the choicest raw material for fabricating skin friendly clothes for babies. In addition, our proposed Flannel Baby Clothes are also impressive in terms of their soothing designs, vibrant colors and long lasting prints. We also offer a wide range of Flannel Baby Clothes for our global clients at market competitive prices. The range of products which we export and supply to the customers are inclusive of a high quality of Flannel Nappy which have been made using the best quality of flannel clothes which have been procured from well known vendors and they have been priced at very reasonable rates in the market. 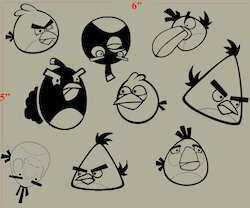 They are available in various sizes for various ages of toddlers. They are soft on the skin and are very hygienic to use. These products are use and throw and convenient to use. 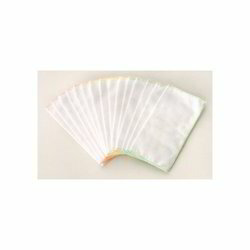 The company is engaged in the manufacture of a wide range of cleaning clothes and wipes which are used for various purposes and they include the Baby Flannel Wipes which are made using a high quality of flannel clothes which are very soft on the skin and prevent the occurrence of any kind of rashes on the skin of the baby. These wipes are supplied and exported to the customers all over the globe and they have been priced at very reasonable rates. We are counted as one of the leading manufactures, exporters and suppliers of supreme quality Flannel Baby Blankets for infant or babies. These are popular for their softness and compatibility for dressing up babies. These blankets are also available in varied colors, unique prints and different sizes. We are involved in manufacturing, exporting and supplying of the finest quality Baby Flannel Flat Sheets for infant or babies in a variety of colors, unique prints and different sizes as well. 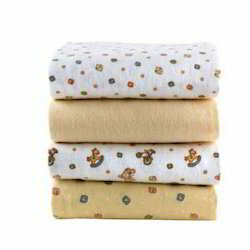 Softness and light weight nature of Baby Flannel Flat Sheet make it the perfect material for baby clothing. 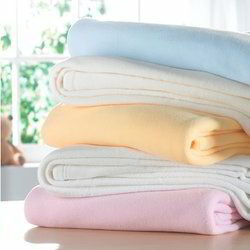 We are one of the prominent manufacturers, exporters, and suppliers of Flannel Baby Receiving Blankets across the country. 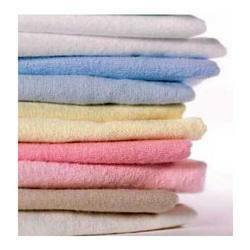 Our manufactured Flannel Baby Receiving Blankets are rich with 100 % flannel fabric material is soft and light in weight and are available in varied sizes & shapes. However, our proposed Flannel Baby Receiving Blankets are perfect for baby clothing. We also offer this product in printed and solid dyed patterns as well. Swaddling is an age-old technique for making a baby feel secure and less likely to be disturbed by the little jerks he does in his sleep, his startle - reflex. 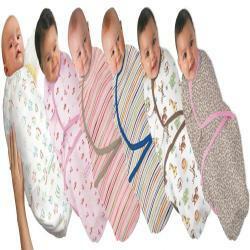 Swaddling may also help your baby to calm down if he is over- stimulated. Swaddle Sheets creates a slight pressure around your baby's body, which may give him a sense of security. The sensation mirrors the pressure he once felt in your uterus (womb). It may help to trigger your baby's sleep. But bear in mind that some babies don't enjoy the sensation of being swaddled. 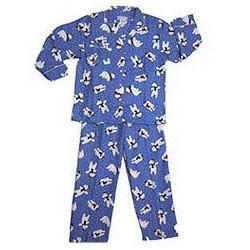 The Flannel Night Suits designed and manufactured by us are comfortable to wear. Apt for a good night sleep, these flannel fabrics used in making these night suits is skin friendly. These night suits available with us can be availed in different sizes and colors. Looking for Flannel Baby Clothes ?